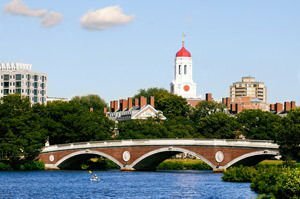 Harvard University is located in Boston. It’s motto is the Latin word for "Truth" ("Veritas"). This is the oldest private university education institution in the United States. Harvard University was founded in 1636, sixteen years after the first colonists set foot on the American continent. In the beginning the school was a college, named after John Harvard, a young minister who, after his death, left the new school its valuable library and half of all it’s assets. This library is full of valuable books, and became the second public library in the country after the library of the monastery of the Order of Jesuits. The idea of the university is concentrated in the ancient phrase, "In search of knowledge and it’s transmission to the youth, and those who are afraid to take this mission, can continue to rely on the miracles of the church." In 1708 for the first time thecollege president was elected a secular man who replaced the priests that held this high position. This gave a new era in the history of the university, which identified the school as free of Puritanism. Students and professors from the college took active part in the War of Independence, and in 1779 the College received university status. Despite the new status in the early nineteenth century Harvard had a high school, which took fourteen children. The actual conversion of the college to a university was in the first quarter of the nineteenth century, except when studying mathematics, languages and the Bible, the school began teaching medicine and law. The first class of Harvard University consisted of just nine students. 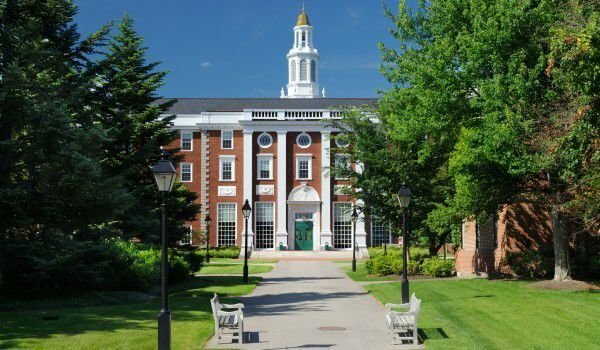 Nowadays, the university trains eighteen thousand people at ten thousand different courses and schools in the system of Harvard University. Today the university has many museums, including museum of mineralogy and geology, comparative zoology, and botany. The University is the largest scientific library in the world, which contains valuable manuscripts and ancient books. The oldest university in the U.S. is famous for the fact that it produced seven U.S. presidents. As well as thirty Nobel prize winners. The University boasts twelve colleges and faculties including the Faculty of Arts and Sciences, Faculty of Medicine, Harvard Divinity School, Harvard Law School , Harvard Business School, Graduate School of Design, Harvard Graduate School of Education, Harvard School of Public Health, John F. Kennedy School of Government. In 2007 a real precedent was set - for the first time in the history of the university a woman was chosen as president - historian Drew Faust. She replaced Lawrence Summers, who was forced to resign after a scandal concerning his remarks that men reap greater success intellectually because their innate abilities and because of this fact very few women were promoted to higher academic positions. In June 2007 Bill Gates received a diploma here, who in 1973 entered into Harvard University, but dropped out after two years learning to work with his childhood friend Paul Allen on a company called Microsoft.